APAARI’s member institutions working in agri-food research and innovation in Asia-Pacific and beyond increased from nine at the APAARI establishment to over 77 to date. Through collective action, they contribute to the realization of the APAARI vision, mission and goal, and ultimately to the Sustainable Development Goals (SDGs). 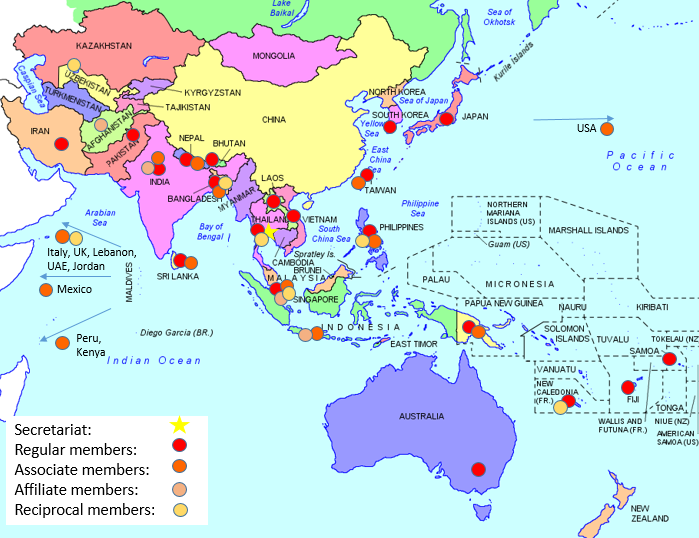 The map below shows geographical representation of APAARI’s members according to the different types of membership.